SIZE L-XL IS SOLD OUT! For international orders please write message in contact. “Nature Is God” Ocean Blue dyed shirt. Hand dyed by Bigfoot. 2018. And they formed an alliance!! International orders will be billed for extra shipping. $27.00 includes shipping in usa only. Raijin!! Done in rainbow style. Every Bigfoot is bouncing in a ring around the sun!! In order to light you up!!!! $25.00 includes shipping in USA only. Dyed by Desi at jammin' studios. 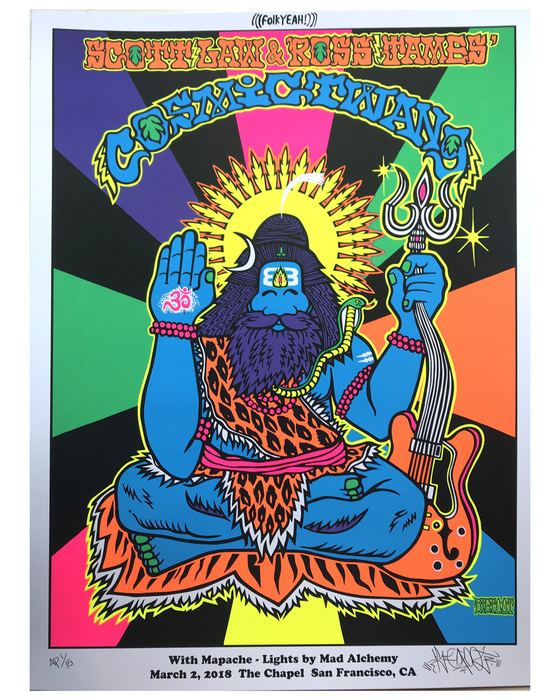 Commune with the cosmos while wearing the image of the Himalayan cloud and sun dancing Monkey Man. 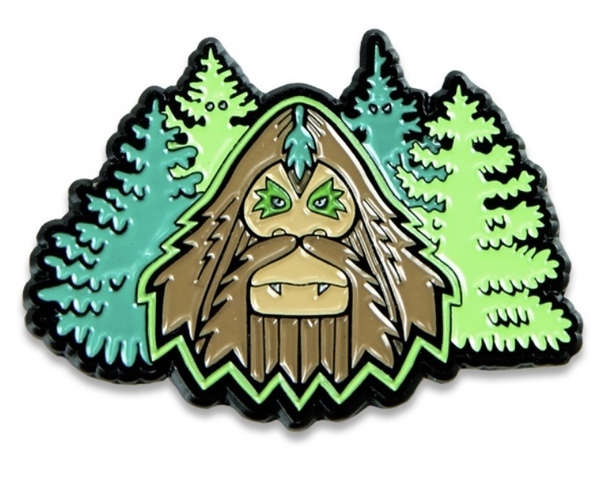 11' X 11" X .25" printed and die-cut Bigfoot meditation design mat. Perfect for placing your precious glassware upon. Hanging hardware on the back. Can be varnished or left natural at buyers request. 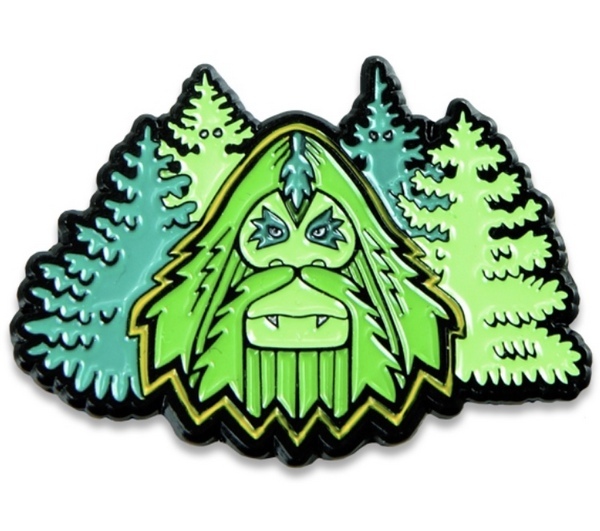 Display the mark of the Bigfoot on any man-made surface you want with this pack of Bigfoot stickers !! what you get is a 12 piece set of 2 color silkscreened vinyl stickers, plus a hand signed "hello my name is" label... similar to that shown in the photo. each sticker is 3.25" X 4.75"
Put them on human society to let them know- "In a world full of robots,there is still an animal alive!!" Sent through the US Postal system. Please allow up to 14 days for delivery. This 6” die cut vinyl sticker. made in North Carolina USA. Made from recycled plastic bottles! 11" tall Vinyl figure with Articulated Arms. 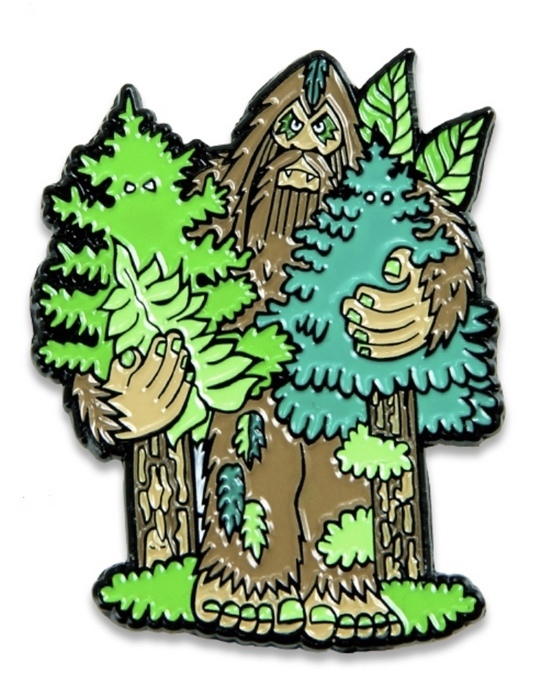 Original Forest Warlord-Brown colorway. edition of 450 figures. Each Figure is signed on the bottom of foot, and the box is signed in 3 places with signature, drawn face and slogan. "Hairy Metal" Forest Warlord-Black and Silver colorway. edition of 100 figures. UPS with signature required Shipping to USA only. for international shipping, add $15. 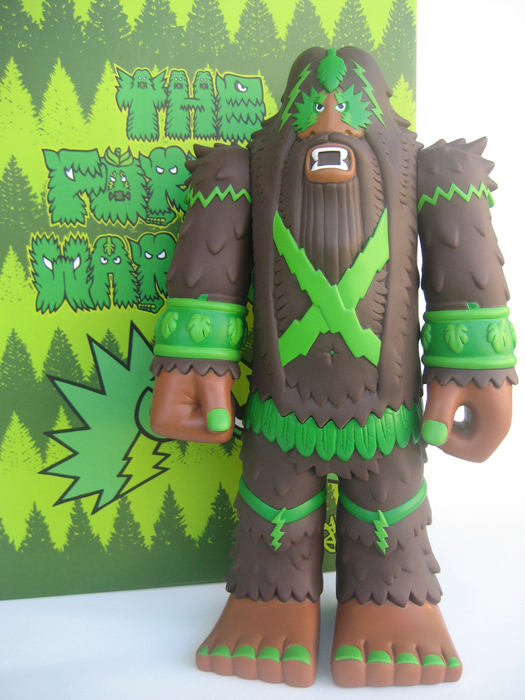 "Bigbud" Forest Warlord-Green colorway. edition of 100 figures. "Grapeskunkape" Forest Warlord-Purple colorway. edition of 100 figures. 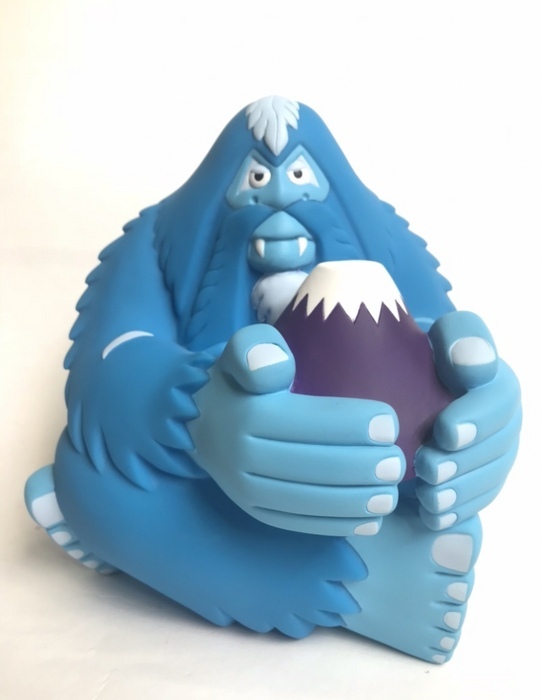 "Himalayan" Forest Warlord- Blue colorway. edition of 100 figures. 8” in height vinyl figure. Bringing the Mountain Spirit Fujisan into your surroundings will provide your environment with stability, settledness, and permanence. Bringing the Kush Fujisan into your surroundings will provide your environment with stability, settledness, and permanence. Bringing the Shadowman Fujisan into your surroundings will provide your environment with stability, settledness, and permanence. Bringing the Greenman Fujisan into your surroundings will provide your environment with stability, settledness, and permanence. Bringing the Meh-Teh Fujisan into your surroundings will provide your environment with stability, settledness, and permanence. 7 color Silkscreen print created on heavy white Paper Signed and numbered by the artist. Limited edition (run of 75). each print signed and numbered in pencil on the main character's left foot. All Prints are carefully packed for shipping with soft tissue wrapping and shipped in a heavy duty strong shipping tube. Bigfoot's poster for Scott Law & Ross James' Cosmic Twang on March 2nd 2018. Silk Screened by Monolith Press in Alameda California. Artist Proof edition of 15. Day Glow Fluorescent ink that vibrates in person.